Tag line: "Dare you enter the most haunted house in England?" The year is 1930, Rev. Lionel Foyster (Tom Boningtom) and his wife Marianne (Suzie Frances Garton) live in a rectory in Borley, England. In need of a handyman, Lionel hires Frank Peerless (Lee Bano), an actor wannabe who moves into the upstairs guest room. Over time, Marianne and Frank grow closer to one another, and, eventually, the two become lovers. It isn’t long after their illicit affair begins, however, that strange things start to happen around the house, from fireplaces lighting by themselves to shadows that drift from room to room. 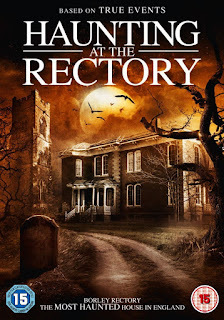 Believing the rectory is haunted, Lionel delves into its history, only to discover a double murder occurred there decades earlier, and that the bodies of the victims are hidden somewhere in the house! 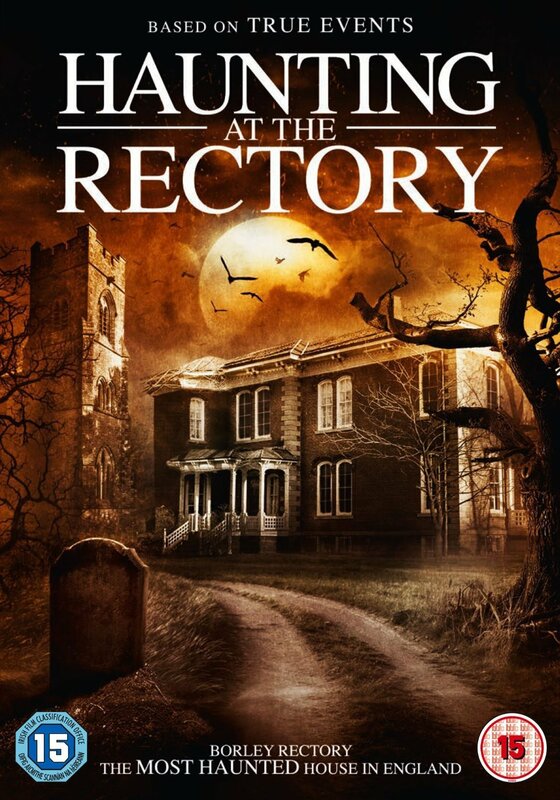 Directed by Andrew Jones, 2015’s A Haunting at the Rectory is supposedly based on true events. In fact, the house at the center of this story, the Borley Rectory, was, prior to being torn down in the 1940’s, considered the most haunted abode in all of England. Not a bad setting for a horror movie, right? Unfortunately, despite the reputation of the house at the center of it all, Haunting at the Rectory focuses more on the love triangle that develops between its three main characters than it does any ghostly presence. So, on a dramatic level, A Haunting at the Rectory is fairly effective; the film’s first half-hour is dedicated to the growing relationship between Frank and Marianne, while also showing us exactly what it was that drove her into another man’s bed (in an early scene, she tries to seduce Lionel, only to be rebuffed). But then, nobody is going to watch a movie titled A Haunting at the Rectory to see a love story play out. And while it isn’t, by any means, devoid of horror (a scene in which Marianne follows a shadowy figure upstairs is unsettling, and results in what is the film’s best jump scare), there simply isn’t enough here to keep fans of the genre interested for very long.